I’m not a big name and I’m not known to many of you. Please do not let that solely sway your decision. I’m hopeful that you’ll see the value I could add as a .NET Foundation Board of Directors member. Thank you for considering me 🙏. Hi, I’m David Pine. I’m running for the .NET Foundation Board of Directors and I need your votes to make that happen. The goal is simple…the .NET Foundation should aim to bridge the gap between the Developer Community and the stakeholders within the .NET Ecosystem. The .NET Foundation has been doing a good job of this already, but there is always room for improvement 👍. Furthermore, the .NET Foundation should deepen its support for the open-source community. It is easy to imagine the .NET Foundation deepening its reach and capabilities by helping open-source developers. There are many ways that this could be achieved. One thought is earning open-source badges that could be displayed on LinkedIn or other professional platforms. Think gamification 🤔, but apply that to the things that open-source developers are already passionate about. As a job-seeker it is easier to speak to achievements in this manner. This is just one example thought that I’d attempt to bring to fruition…what else is possible?! I’m a current standing Microsoft MVP in Developer Technologies and a Google Developer Expert in Web Technologies. I find immense gratification in giving back to the Developer Community and attribute this to a lot of my professional success. 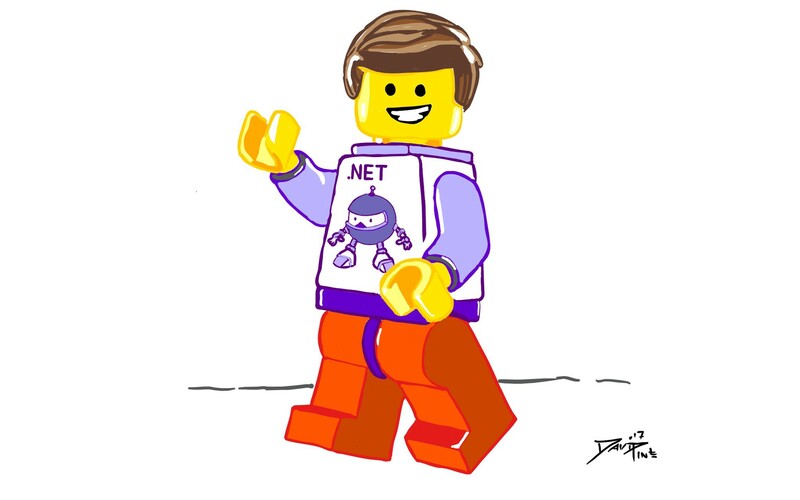 As developers we’re fortunate to work with the amazing and endless stream of innovations coming from the .NET Ecosystem. I pride myself on the ability to lift others and collaborate! I am an active open-source developer with contributions on many Microsoft .NET open-source projects. I love everything that GitHub represents, just look to my GitHub page for all the things I’m interested in. I have been helping to strengthen the Midwest .NET Developer Community for years by organizing various developer conferences. This effort continues and we’re growing exponentially. I’m an advocate for developers and strive to mentor others. I am constantly trying to encourage others to dream big! For a while I contributed fairly regularly to Stack Overflow, I’ve since prioritized my time differently - but I’ve impacted over 776,000 users around the world and I’m in the top 2% overall.